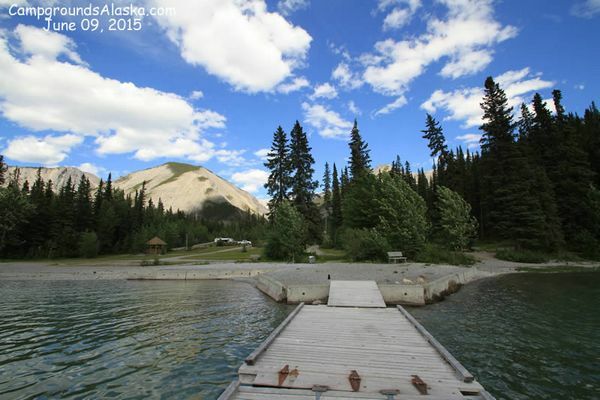 Muncho Lake RV Park - Alaska Highway, B.C. Muncho Lake is renowned for the beautiful bluish green waters that still offer great vision deep into the lakes botton. Muncho Lake is 7 miles (11 km) long and 1 mile (1.6 km) wide at its widest point. 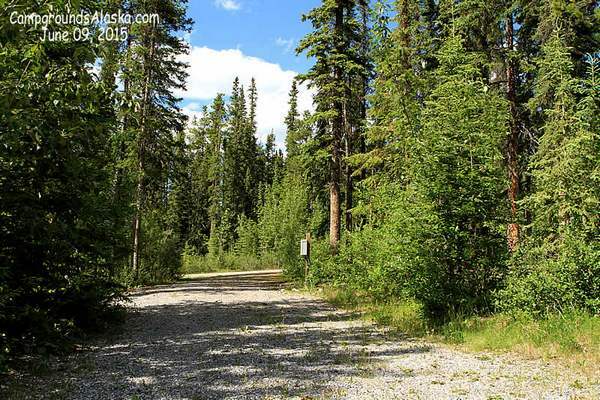 The lake and rv park sit at an elevation of 2,680 feet (817m) above mean sea level. 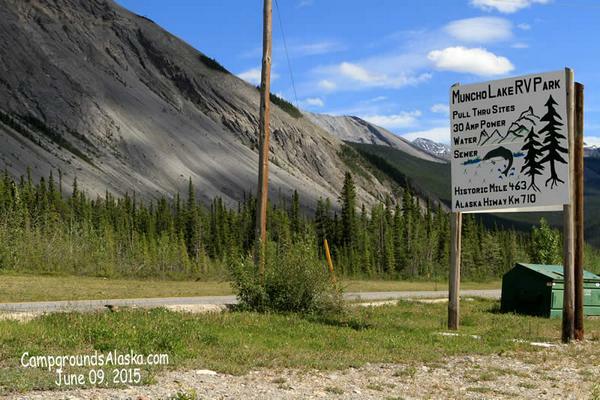 Directions — Mile 463 (Km 710) along the Alaska Highway between Strawberry and MacDonald Campgrounds of the Provincial Parks and Liard Hot Spring 40 miles (54 Km) to the north. 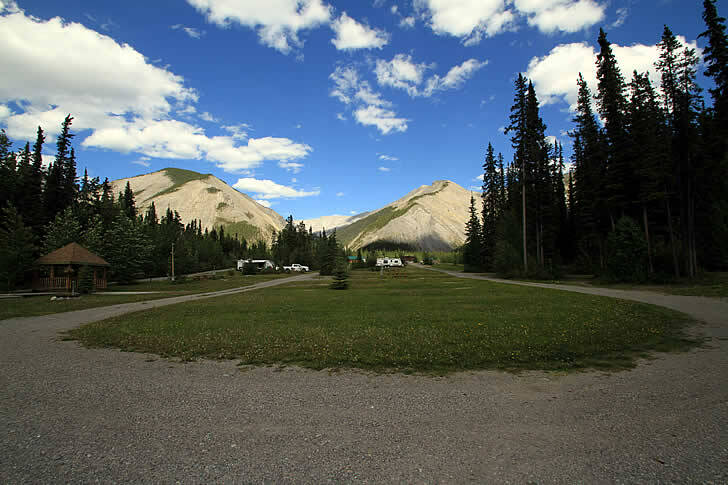 Muncho Lake RV Park is on the northern end of the lake situated on a gentle slope offering outstanding views of the lake, island and mountains from nearly every one of the Rv sites and campsites. 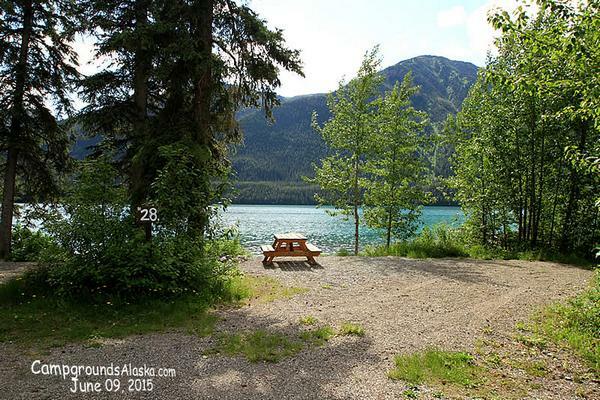 Description — Very well maintained lakefront rv park extremely popular with the locals that hosts a large number of return clients every year. Down the center of the park right up to the waterfront are some very large full service campsites (30 amp) ith easy in and out acess. Sites are wide and teared to offer premium views of the lake, mountains and island. Sport Fishing — Outstanding Lake Trout and Arctic Char Fishing plus Arctic Grayling, Burbot, and Rocky Mountain Whitefish. Special Occations include — Wedding, Family Reunions, Party Events, Caravans, Everyone Welcome. 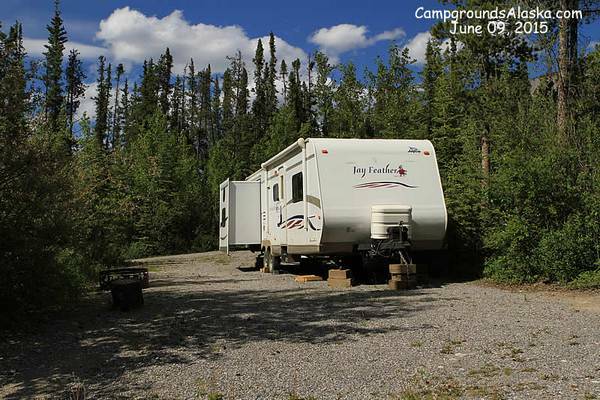 Muncho Lake Provincial Park located on the shores of Muncho lake offer lakefront campsites and all the fun you need for an outstanding vacation in the north of British Columbia. 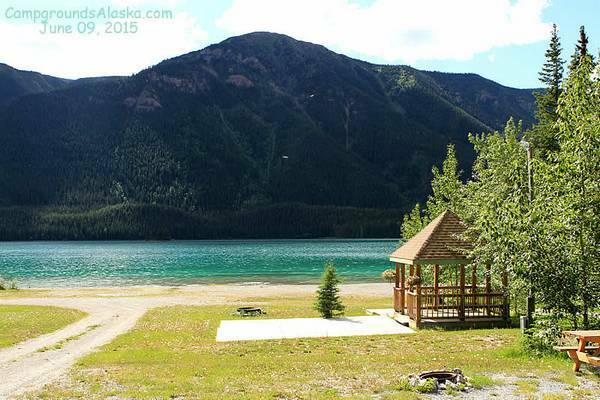 Northern Rockies Lodge and RV Park also offers lakefront camping with full services including 30 amp service.